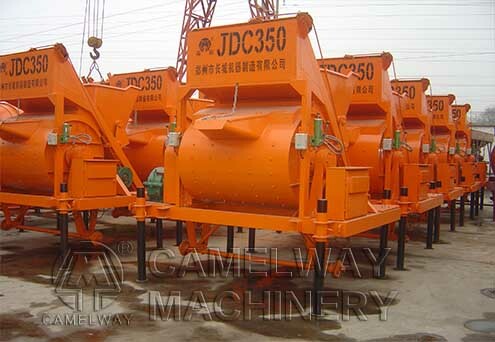 JZC/JZM series mobile concrete mixer is mainly used to produce plastic and damp-dry rigid concrete in small project, thy are widely applied in architectural building site, civil engineer, and bridge project, precast concrete plant, etc. 1. Per shift when driving, carefully check the reducer, listen to the gear mesh ensure it is normal; when operating, watch the bearing, and hand the appearance to test temperature, if the temperature is too high, you need to stop to repair. 2. Belt need to keep elastic moderate. 3. Mixing blade wear is more serious, weekly checked once, if you find wear is serious, you should change in time. 4. When operation, casing edge all have certain thickness of the product material layer. When stopping, you should keep it clear in time, especially the-long-time-stop, be sure to clean the induration material layer. 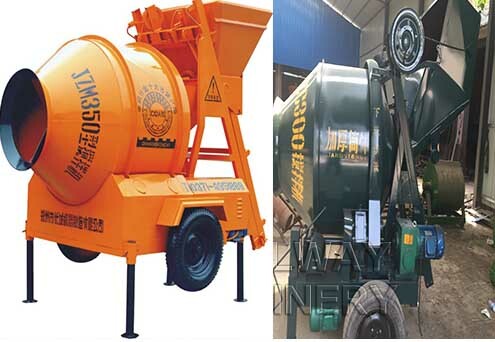 If you are interested in any of our products including portable concrete mixer, mobile concrete mixer and concrete batching plant and so on, please feel free to contact us. Zhengzhou CamelWay Machinery are looking forward to forming successful business relationship with new clients around the world in the near future.